MOC and Activities sign-up emails went out to the email address of the person who ordered your weekend passes. Check your emails and get your MOCs registered and get scheduled for Activities. Check your junk mail folder also. 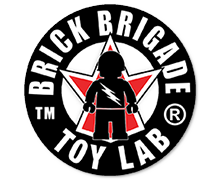 If you are signed up for weekend passes and did not receive my email, please email konrad@brickmania.com . See you soon in Hartford. WWB Hartford tickets are $75. Get your Weekend Passes before July 19th. Early passes close July 19th. Weekend Passes will be sold at the door for $100. Public Exhibition Passes will be sold for $10 at the door. Missed World War Brick Minneapolis, MN and World War Brick Anaheim, CA? You still have an opportunity to come to WWB. World War Brick will be in Hartford, CT July 24-26th. Don’t miss out on our first East Coast show. It will be three more grand days of historical building awesomeness. All of the fun of World War Brick, all the prizes, all the awards, all the MOCs and Displays, All the Micro Tank Tournaments. Don’t miss out. We have secured a discounted room rate with the Crowne Plaza Hartford-Cromwell for those traveling from outside the area (or those not wanting to miss out on a minute of the action). Amenities at the Crowne-Plaza include fitness center, indoor pool and sauna, free parking, free wifi and more. We have a block of rooms reserved from Thursday through Sunday nights at the rates of $104/night for Single or Double room. 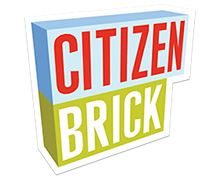 To make your reservations, register online directly HERE or the Crowne Plaza Hartford-Cromwell‘s toll-free number of 877-227-6963 and identify yourself as a member of Brickmania/World War Brick Hartford.